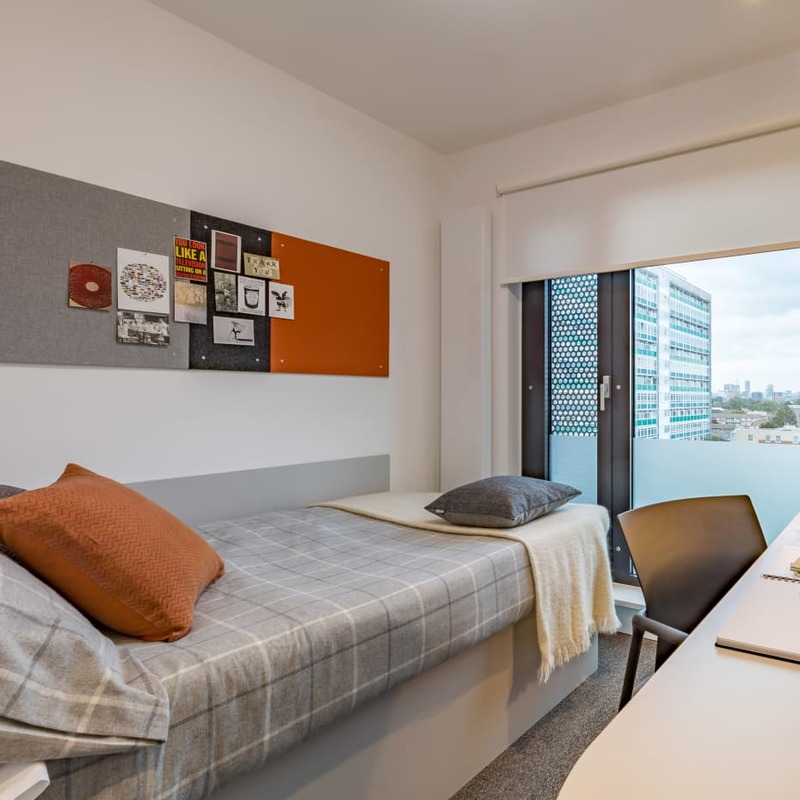 We currently have rooms to rent at Gardens House for the academic year 2018/19. 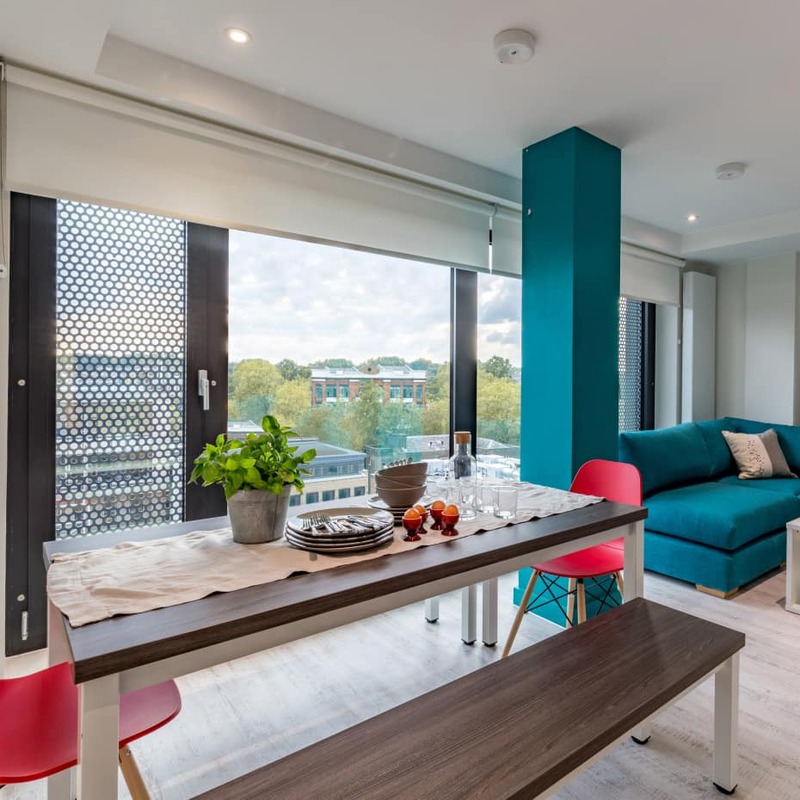 Gardens House was a brand new development opened for the 2017/18 academic year, exclusively for UAL students. 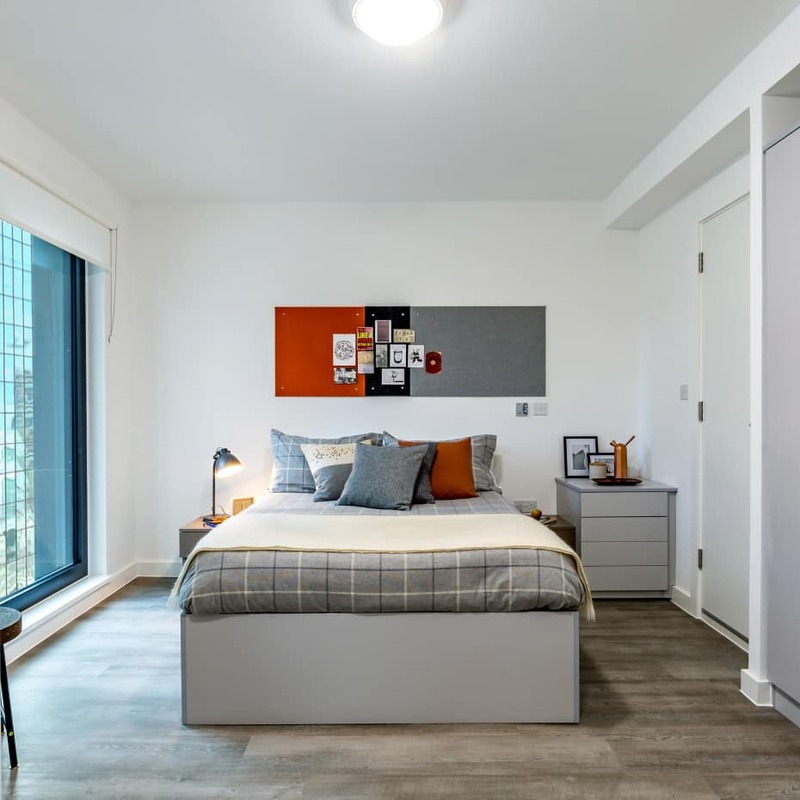 Less than a minute’s walk from Camberwell College of Arts, it’s perfect for students looking for a campus-style experience. 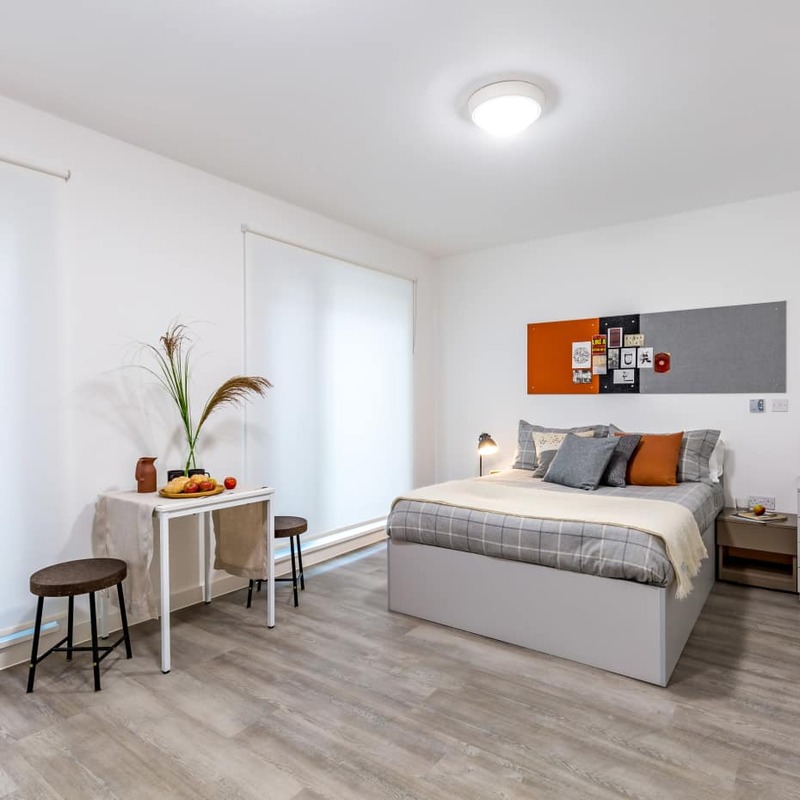 The halls are situated on the college campus grounds, within easy reach of London College of Communication and Chelsea College of Arts too. Take a tour of Gardens House, its bedrooms, facilities and common spaces. 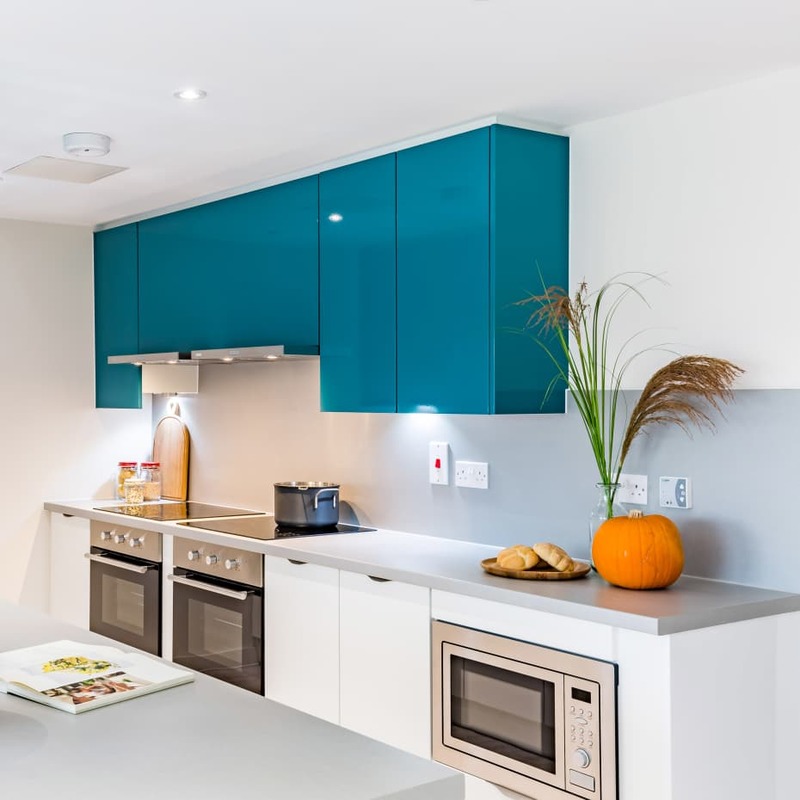 Due to essential maintenance works taking place at Gardens House over the summer period of 2020, tenancy lengths at this hall have changed to 39 and 40 weeks, as opposed to the 41 and 50-week tenancies originally advertised in the UAL Accommodation Guide 2019/20. The following prices refer to the new academic year beginning in September 2019. Standard rooms (39 weeks) are £215 per week, £8,385 in total. These rooms are 14.4 metres squared and under and have 3/4 size beds. Standard rooms (40 weeks) are £215 per week, £8,600 in total. These rooms are 14.4 metres squared and under and have 3/4 size beds. Standard rooms (Shared Bathroom), (40 weeks) are £179.50 per week, £7,180 in total. These rooms are 10.32 metres squared and under and have 3/4 size beds. Premium rooms (Shared Bathroom), (40 weeks) are £183.50 per week, £7,340 in total. These rooms are 12.8 metres squared and have 3/4 beds. Studios (40 weeks) are £280 per week, £11,200 in total. 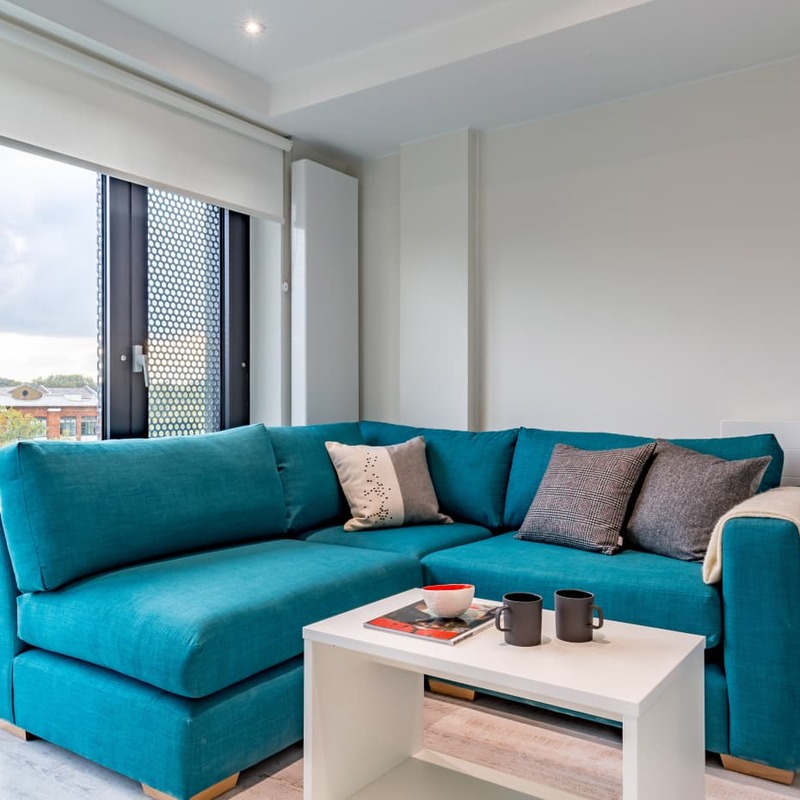 Studios (Mobility Adaptable), (40 weeks) are £215 per week, £8,600 in total.